Made just for your favorite golfer, these quality, personalized above par golf balls let a loved one know they're a swing above the rest. 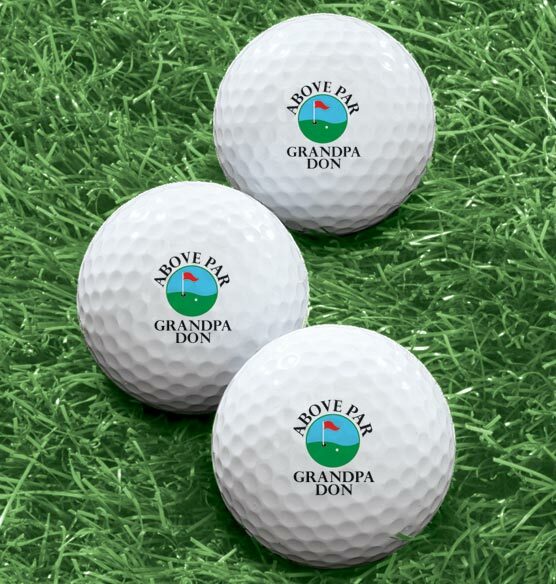 Golf balls come printed with a name or message of your choice under the phrase "Above Par." From the first tee to the back nine, these custom golf balls make a great gift for golfers of any skill level. One name per pack of six solid core white balls. Specify name; limit 2 lines, up to 8 characters each. Great personalized gift for a golfer. This was bought as a gift for someone very difficult to buy for. This should bring a big smile to his face and a few chuckles from the guys on the course. Because my son plays golf and i thought they would be fun for him.